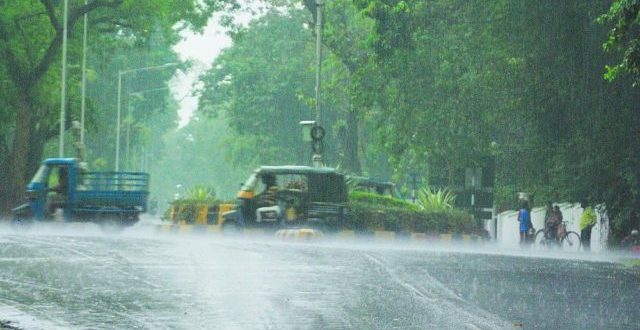 Bhubaneswar: A low-pressure area is likely to form over the North Bay of Bengal and neighbourhood during next 48 hours that would bring rainfall to Odisha, said the Indian Meteorological Department (IMD) on Tuesday. It said rain or thundershowers are likely to occur at many places during next 24 hours and at most places in subsequent 48 hours over districts of Odisha. On Tuesday, Isolated heavy to very heavy rainfall is likely to occur over Balasore, Bhadrak, Kendrapara, Jajpur, Jagatsinghpur, Cuttack, Keonjhar and Mayurbhanj districts and isolated heavy rainfall likely to occur over Angul, Sundergarh, Jharsuguda, Sambalpur, Deogarh, Dhenkanal, Puri and Khordha districts. On Wednesday, isolated heavy to very heavy rainfall is likely to occur over districts of north Odisha and Boudh, Sonepur, Kandhamal, Bolangir, Nayagarh, Khordha and Puri of south Odisha with isolated extremely heavy rainfall over Kendrapara, Jajpur, Bhadrak, Keonjhar, Dhenkanal, Mayurbhanj and Cuttack.